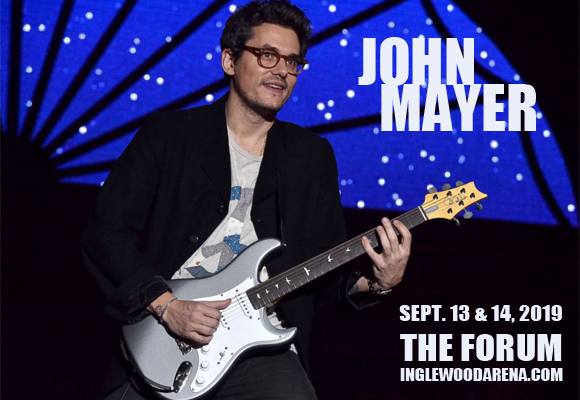 Multi-platinum-selling Grammy Award-winning singer, songwriter and virtuoso guitarist John Mayer comes to The Forum on Saturday 14th September 2019! For his 2019 World Tour the internationally acclaimed artist will treat fans to an Evening with John Mayer – an intimate event that sees the performer playing a range of songs from throughout his illustrious career! Tickets will sell quickly – don't delay! John Mayer is a seven-time Grammy Award-winner and multi-platinum-selling singer, songwriter, guitarist and producer, who is also known for performing with the John Mayer Trio and the supergroup and Grateful Dead tribute Dead & Company, which he formed in 2015 alongside former members of the Grateful Dead Bob Weir, Mickey Hart and Bill Kreutzmann. Mayer's career began in 2000, when he caught the attention of several major labels with a solo performance at South By Southwest Festival. He signed with Columbia Records in 2001, releasing his multi-platinum-selling debut album, Room For Squares, that same year. His second album, Heavier Things (2003), earned him a 2007 Grammy Award for Best Pop Vocal Album and the album's single, "Waiting on the World to Change", earned him another nomination for the Best Male Pop Vocal Performance award. To date, Mayer has released six studio albums and, as of 2014, he has sold a total of over 20 million albums worldwide. Throughout his career, Mayer has performed and collaborated with several notable artists, including legendary blues musicians B. B. King, Buddy Guy, and Eric Clapton.